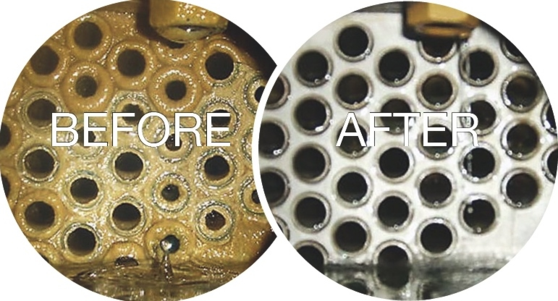 Chemical Cleaning (Condenser Descaling) is another highly impactful cleaning process for a variety of heat exchangers. This can be used exclusively for cleaning or used in combination with mechanical cleaning methods. This process utilizes safe, yet powerful, acids to quickly dissolve calcium, limescale, rust, lithium carbonate and other types of deposits from passages in water cooled or heated equipment like chiller tubes, boiler tubes, heat exchangers and more. We feature exclusively the ScaleBreak line from Goodway Technologies. It is safe for use on a wide variety of metals, plastics and rubber and quickly helps to improve the operating efficiency and extend the life of your equipment. These advanced formulas offer incredible performance and protection and are fortified with powerful low foaming, wetting and penetrating agents and superior corrosion inhibitors. This allows the powerful cleaning ingredients to do their work on scale and other deposits, without the high corrosion rates associated with simple acids. The chemical composition of scale deposits differs widely from location to location. We offer the expertise to determine the correct formulation of industrial descaler to best match the deposits you have. We can even test deposits beforehand and recommend the specific formulation. 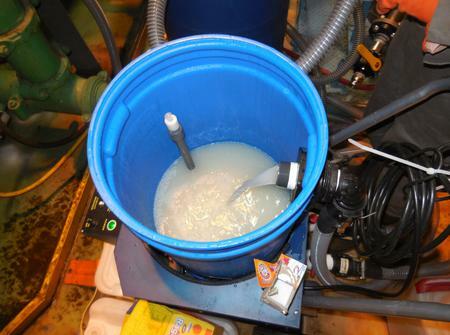 Additionally, we provide a complete service, including pumping and neutralization of the inhibited acids, readying them for safe disposal in accordance with all local regulations. 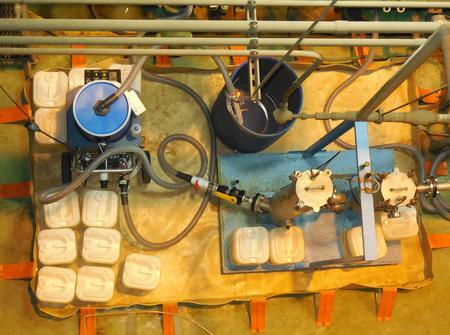 We utilize highly engineered system for delivering and recirculating chemical solutions, including high performance GDS units from Goodway Technologies.